You can help build the new Cody Firearms Museum! The Cody Firearms Museum is planning a two-floor renovation that caters to both firearms enthusiasts and the general public to open July of 2019. During the construction process, we will still have approximately five hundred of our top firearms on display until the museum is complete. Learn more about the collection here. Now is your chance to support this exciting project! A project of this scope requires donors at all giving levels. Thank you for being as generous as your budget allows. 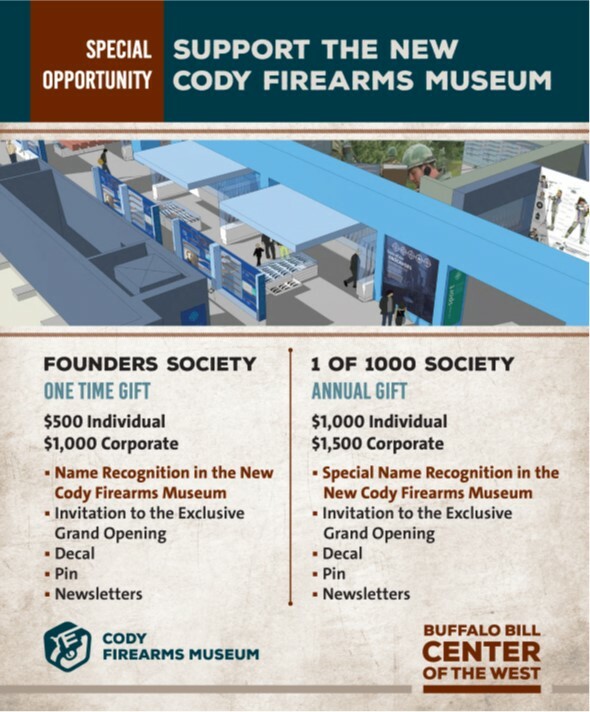 Please fill out the form below to complete your donation to the new Cody Firearms Museum.